We are more than proud to announce that FuturoCoin has been listed on another cryptocurrency exchange platform. It is already the 8th place where you can easily trade FTO! How awesome is that? 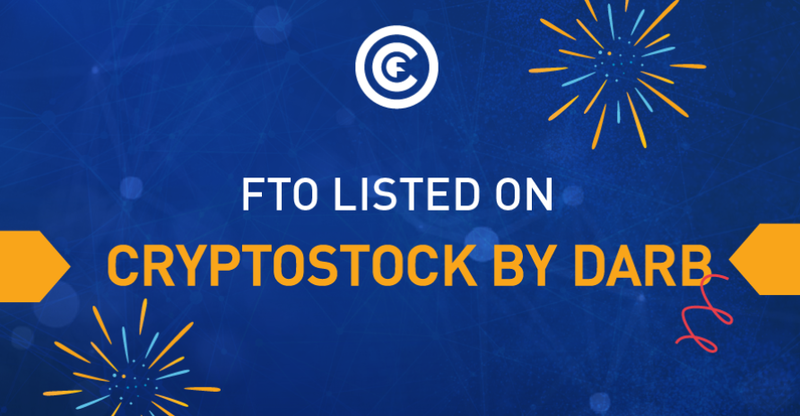 You can already find FuturoCoin (FTO) on the fresh cryptocurrency exchange platform called CryptoStock by DARB. It is a big honour to be listed from the very beginning of the exchange platform’s activity. It proves that the interest in our cryptocurrency is continuously growing. CryptoStock by DARB is a platform which allows to trade not only in regular CRYPTO/CRYPTO pairs but also CRYPTO/FIAT and FIAT/FIAT pairs. The primary goal of the cryptocurrency exchange platform is to invite experienced traders as well as the beginning ones to start their trading journey. How do you like the idea of FuturoCoin becoming more and more popular? Check our Facebook page and leave the comment with your thoughts! Let’s share the great news together!